The hedge fund behind the Trump-friendly National Enquirer may want to sell the controversial title. Yet if heavy debt, a brush with federal prosecutors and an alleged attempt to blackmail Jeff Bezos are scary to the owner, they’ll have the same effect on any credible buyer. 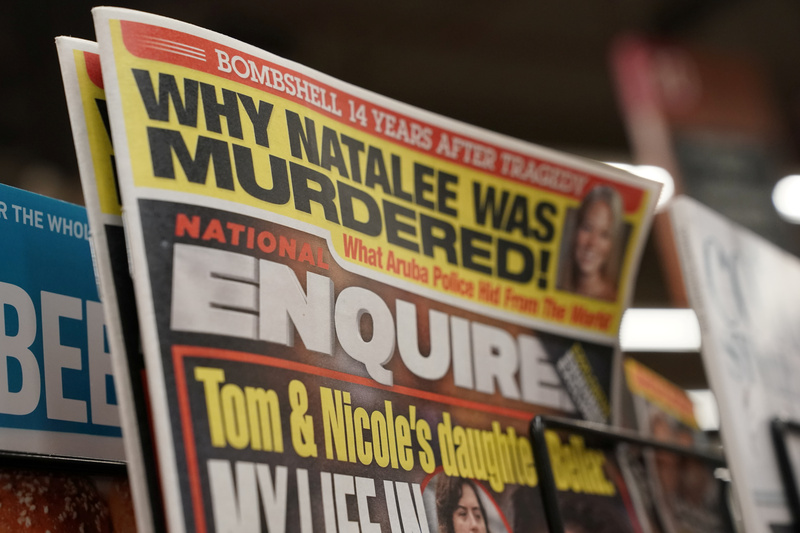 U.S. tabloid newspaper the National Enquirer is on display for sale in Washington, U.S., April 10, 2019. The owner of the National Enquirer said on April 10 it was considering selling the tabloid, which has admitted to paying hush money to help U.S. President Donald Trump get elected and been accused of attempting to blackmail Amazon founder and Chief Executive Jeff Bezos. More recently, the National Enquirer has been embroiled in a battle with Bezos, who also owns the Washington Post. The Washington Post reported on April 10 that some of the pressure on AMI boss David Pecker to sell the title comes from Anthony Melchiorre, who controls $4 billion hedge fund Chatham Asset Management, the 80 percent owner of AMI.